HARLINGEN — The Super Bowl teams are set, (New England and the L.A. Rams, in case you missed the conference championship games), and they’ll meet in the showcase football game watched by millions on Feb. 3. Maybe they will, and maybe they won’t. Because many Americans wonder if the Super Bowl can be watched, or should even be played at all, without guacamole on the sidelines. All because of a rumored avocado shortage. Absolutely untrue, insists Alvaro Luque, president of Avocados From Mexico and a man who should know. About 80 percent of the avocados available at this time of the year come from Mexico and the rest from Chile. California avocados just aren’t ripe by the time the Super Bowl comes around, with the picking season in the state just beginning in February. Even if they were available, these early-season avocados tend to be watery. 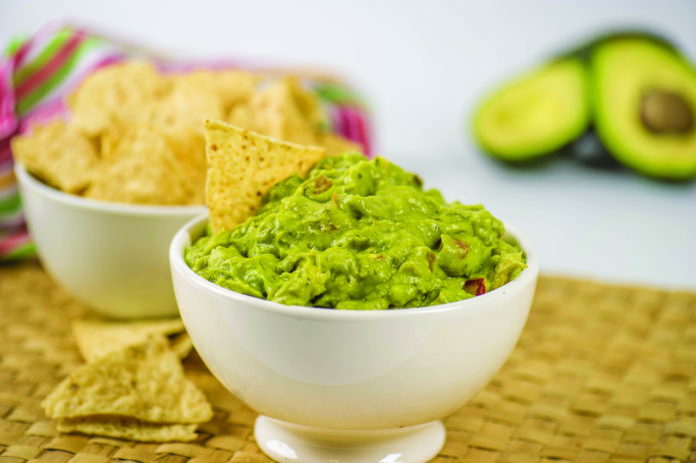 The idea of serving guacamole with the Super Bowl as a side dish was, as is so often the case with cultural popularity in modern life, the result of marketing genius. The Mexican avocado industry — Michoacan state produces 80 percent of the crop — began promoting its product as a must-have for the Super Bowl in the 1990s, just after the NAFTA trade agreement eased the way for avocados from Mexico and Central and South America to enter the U.S. market. Mexico became the largest foreign supplier of avocados to the U.S. in 2008. Now avocados go with the Super Bowl like eggnog with Christmas. Imports of Mexican Hass avocados are in fact at record levels and that will continue through game time on Feb. 3. The United States imported a record 71.9 million pounds for the week ending Jan. 13, the Mexican avocado growers say. For the month, January imports of Mexican avocados are projected to reach 217 million pounds, up 16 percent from last year. Mexican avocado imports are expected to reach a record-breaking two billion pounds this year, an increase of 7 percent from last year. Avocados were a treasured food among the Aztecs for hundreds of years, maybe thousands. The avocado first came to notice in a world-wide way after the early Spaniards started writing about it in the 16th century. The dish made from the fruit — the avocado is a fruit not a vegetable — comes from the Nahuatl word ahuacamolli, which means “avocado sauce.” The suggestion is the Aztecs, apparently lacking exposure to a good Super Bowl recipe, probably just mashed up avocados by themselves. But in what paleoanthropologists tell us was a protein-deficient culture, the avocado was greatly prized for its high fat and nutritional content as well as the Aztec belief that the fruits contained aphrodisiacal properties, an even earlier example of marketing genius.